Bambara Chiwara. Each figure stands 21 inches tall and 6 inches wide. 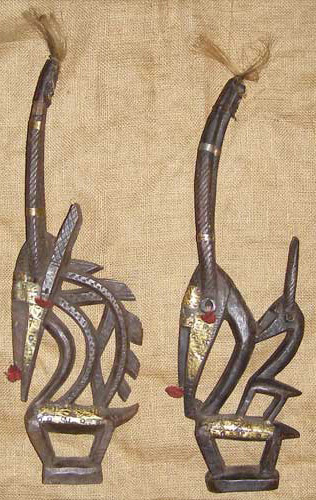 These Chiwaras of the Bambara people are sold as a set, and usually displayed together.